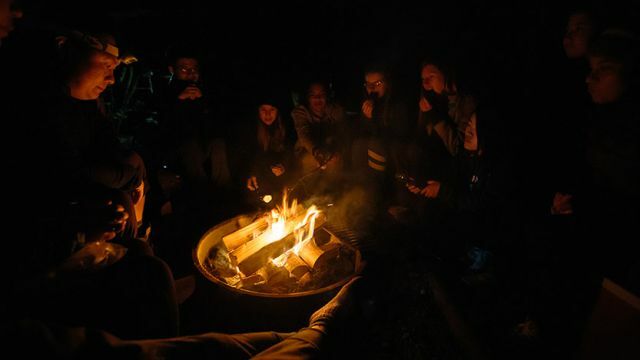 One night last October, a group of Seattle Pacific University students gathered by a lake near Mount Ellinor on the eastern side of Washington’s Olympic National Park and gazed at the stars in silence. 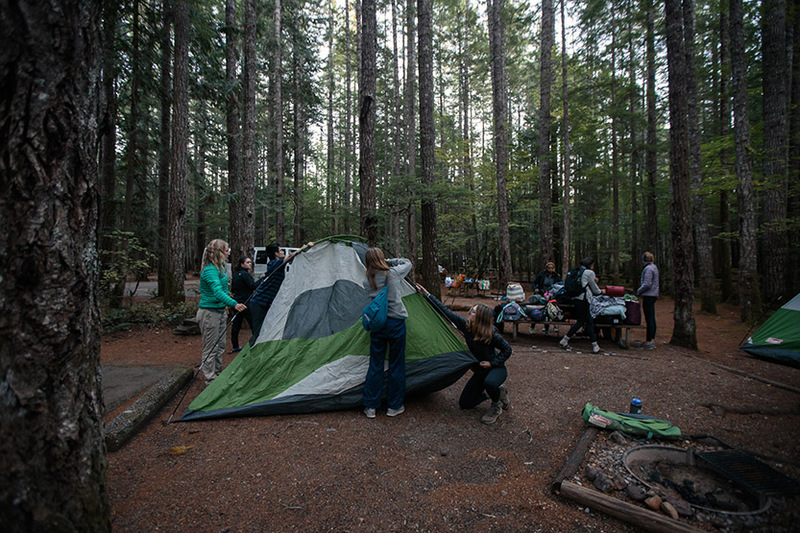 The camping trip was hosted by ORP, SPU’s Outdoor Recreation Program. 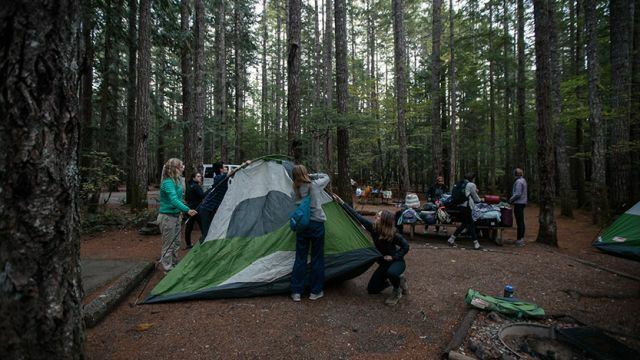 The program was designed to eliminate obstacles facing Seattle Pacific students who want to get outside, explained senior Hannah Larson, a student coordinator for ORP. 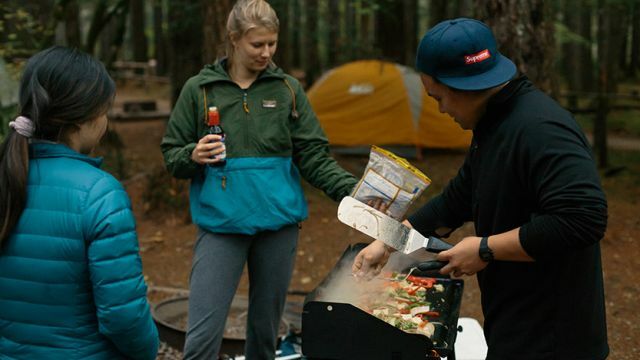 “It kind of makes it an easier process to taking that initial step outdoors, if they haven’t done it before,” she said. 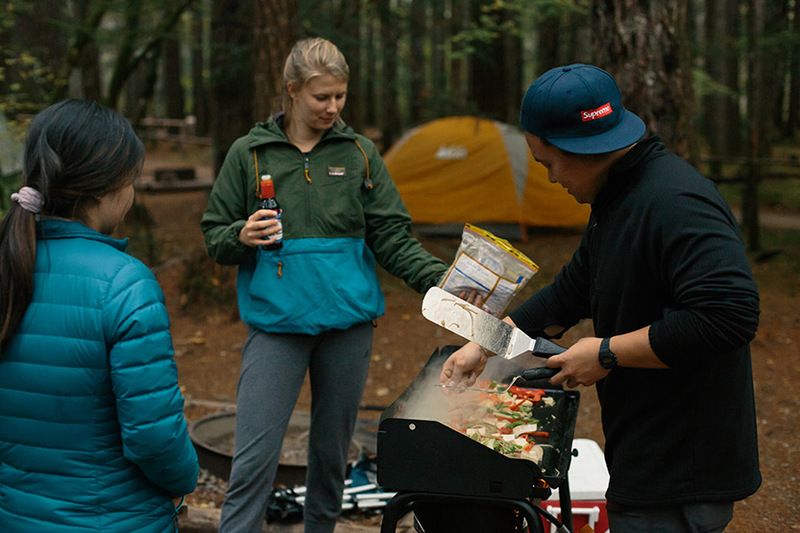 The program offers a few camping trips each year. 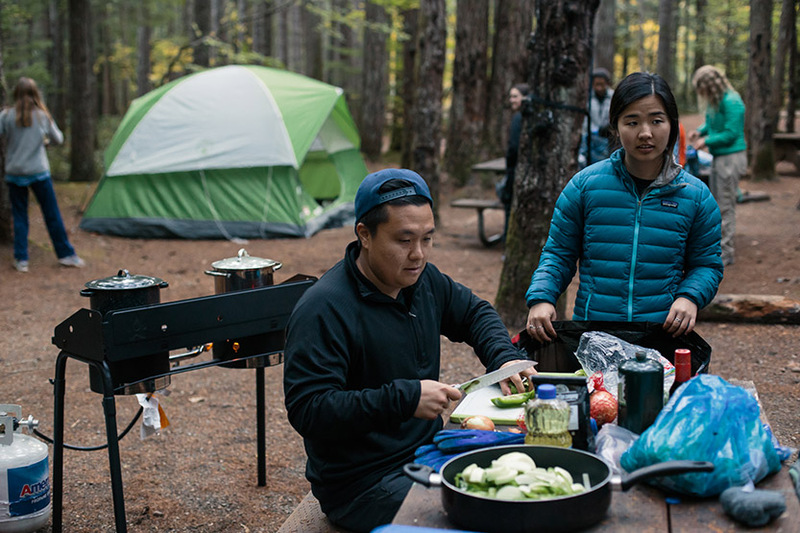 ORP also coordinates day hikes around the Seattle area and rents equipment from tents to snowshoes to students who want to try outdoor activities but lack gear. 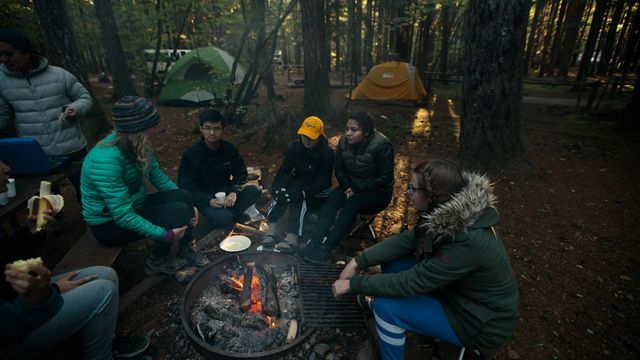 The October trip was one of the most physically demanding excursions ORP has planned. 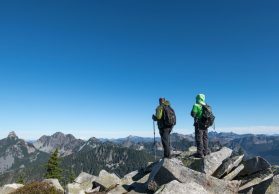 It involved summiting Mount Ellinor — a three-mile hike with 3,000 feet in elevation gain — and spending the night. 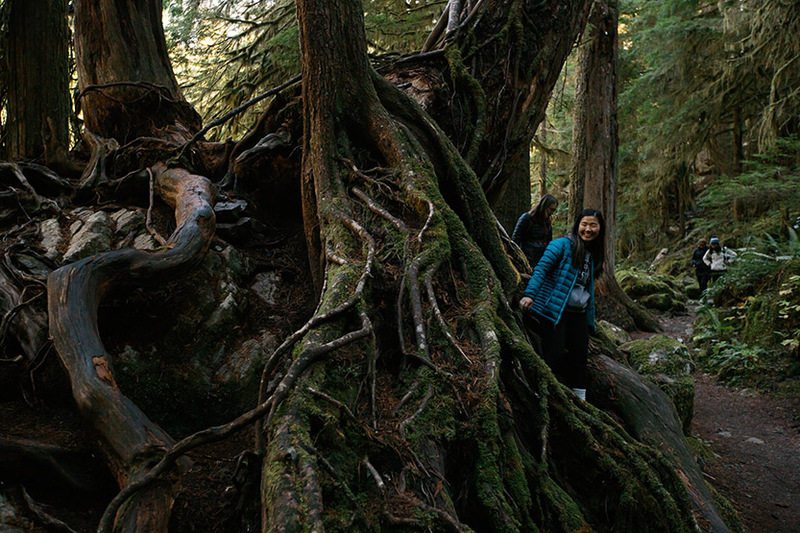 For Mather, who heard about ORP at Involve-O-Rama during orientation, the October trip was the biggest hike she’s ever done. 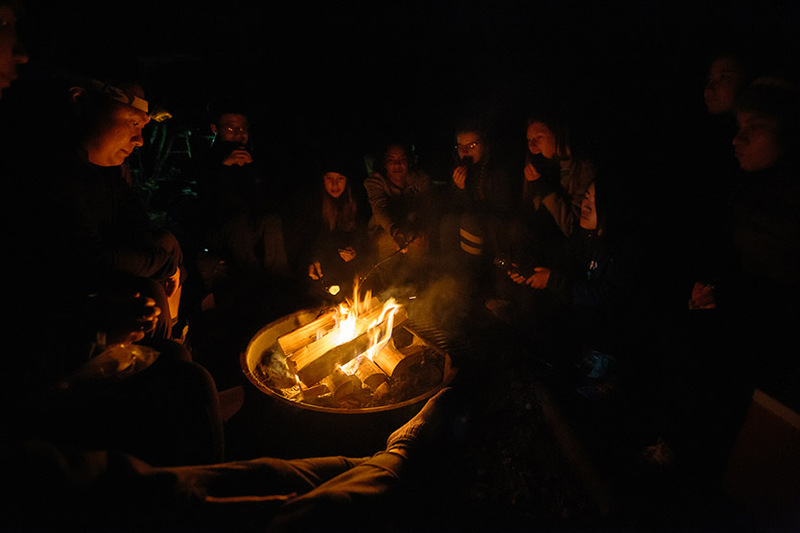 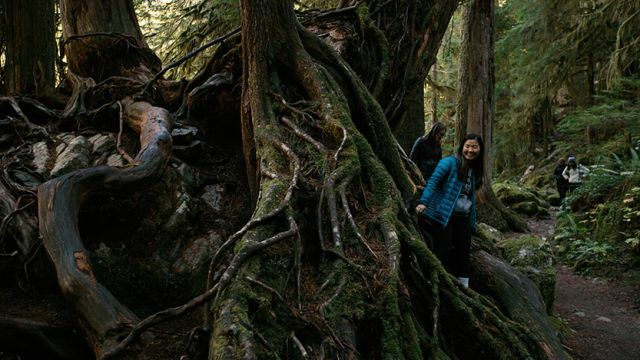 ORP assists students in overcoming financial barriers as well: SPU subsidizes costs for students who want to experience the outdoors through the program. 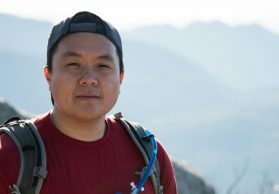 “We try to make it as cheap as possible,” said Larson. 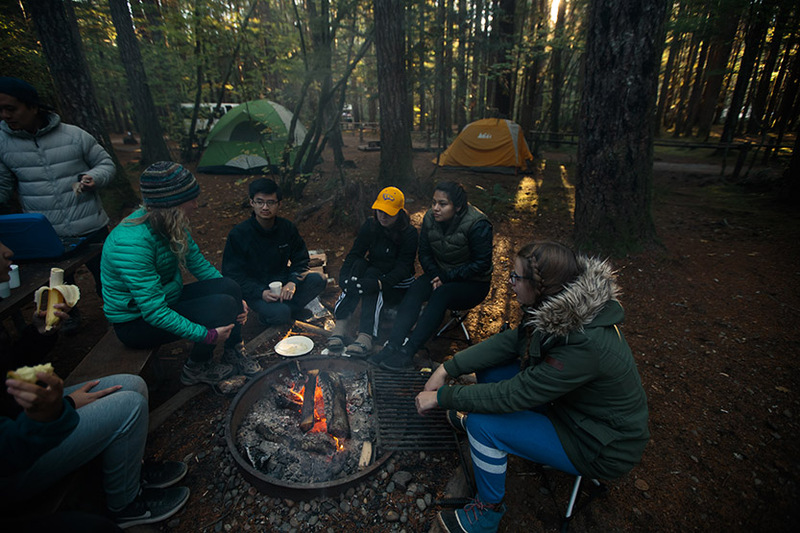 ORP trains trip leaders in wilderness first aid in order to provide peace of mind for both inexperienced and experienced hikers. 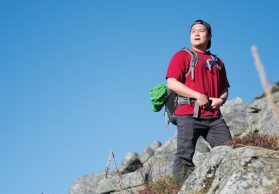 Hemenway was an experienced hiker when he got involved with ORP through the program’s adviser, Yikhwan Dillard ’09, who was previously his residence life coordinator. 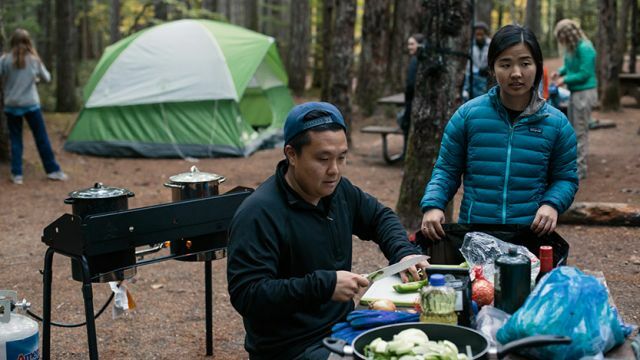 Hemenway said he enjoyed getting to know the participants on the Mount Ellinor trip while cooking and eating around a campfire. 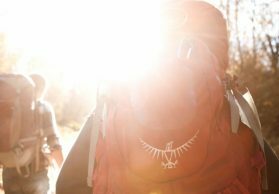 Getting outdoors can also have a spiritual component.